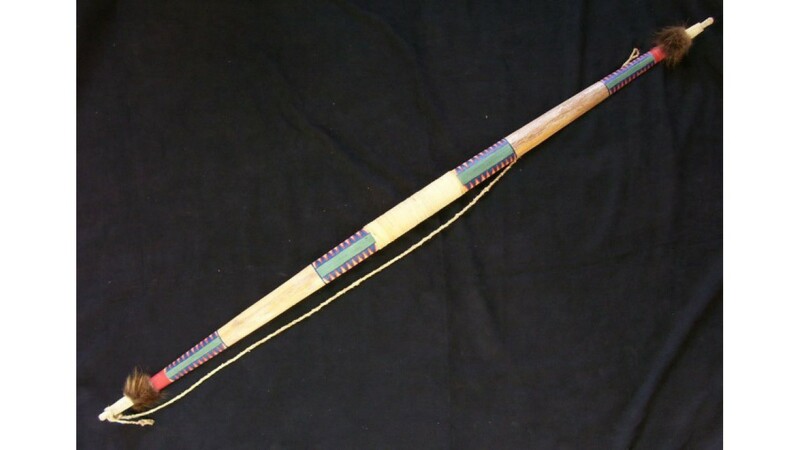 This is a copy of an authentic Wintu bow that's in a museum in northern California, and uses the exact same materials in its construction. 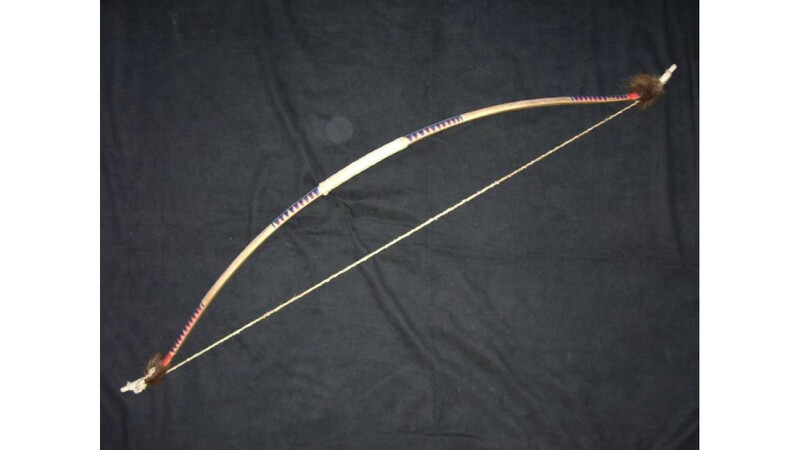 This bow is made from a small diameter branch of Pacific yew, and has a flat belly and rounded back just like the original. 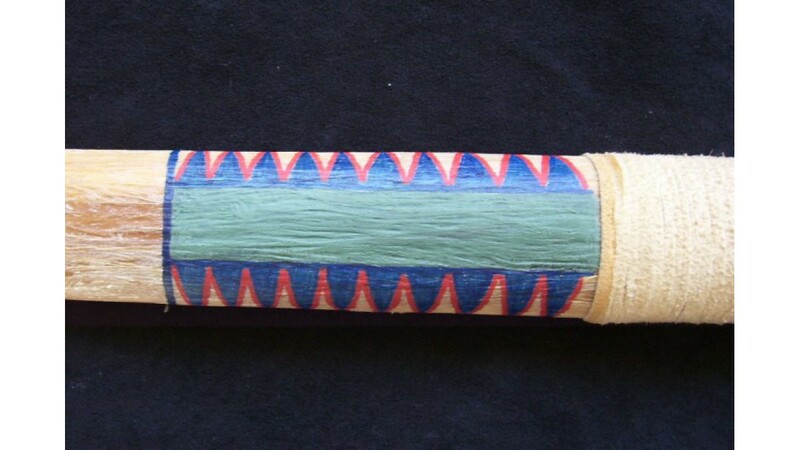 It is sinew backed with two layers of sinew, over which it's painted in the same design on either side of the handle and also just below the tips. Both tips have rawhide boots and beaver fur string silencers glued to the recurves. 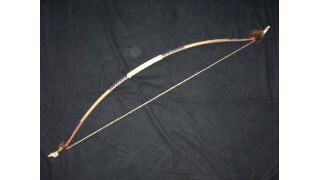 The bow has a 2-ply sinew string and braintanned buckskin grip. It bends through the handle when drawn, and is a stout, powerful weapon pulling 55 lbs at 20 inches. 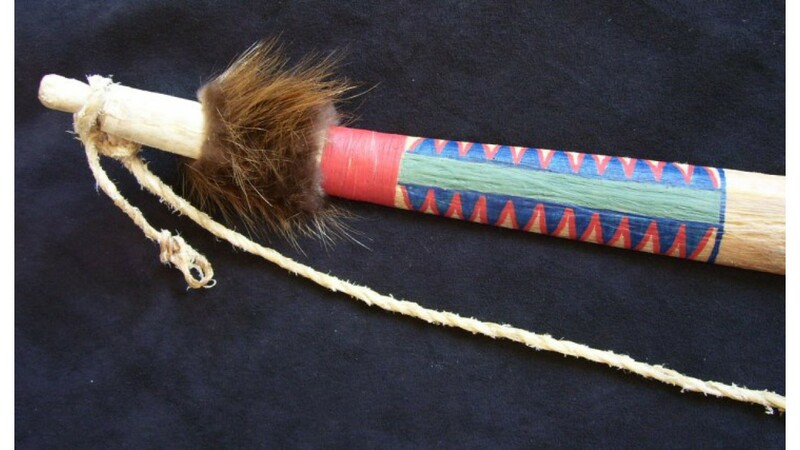 These weapons were used in blinds for close-range hunting of big game like mule deer and elk. 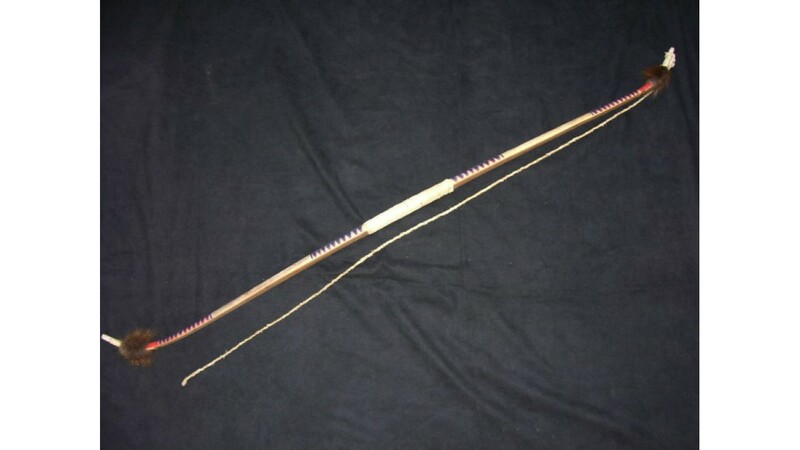 Bow Specs: Sinew backed yew, 47 inches long, 1 5/8 inches wide at grip, 1 3/8 inches wide midlimb, 5/8 inches wide just below nock. 55 lbs at 20 inches.